A companion app for interacting with the PlayStation Network, it enhances a user's gameplay experience for the PlayStation 4. 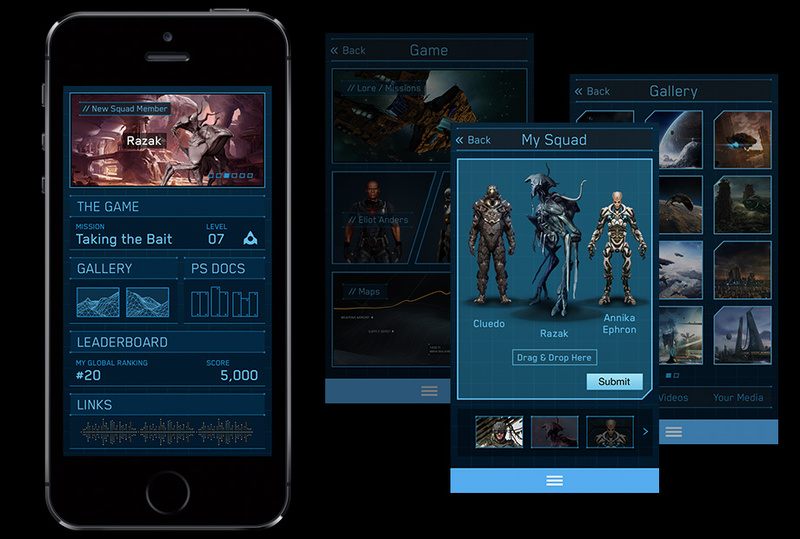 Users could use the app to configure their character or squad, browse game maps, view leaderboards, compare with friends' stats, or read up on various aspects of game play. I was the sole developer for this app. I also built out the RESTful services on the backend using Node.js and Mongo, and I assisted with a separate CMS tool for this app, built with AngularJS. A companion app for the PlayStation 4. Because this app was intended as a demo, it wasn't released on the store, but I'm happy to show it in person.